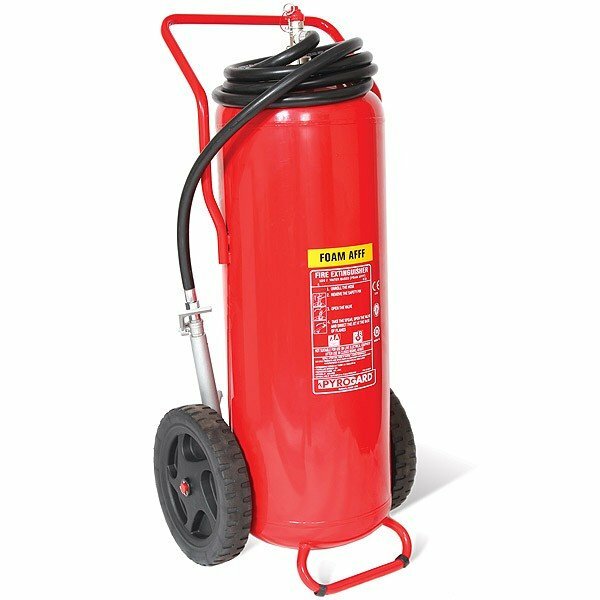 Our 100 litre foam fire extinguisher on wheels is hard to beat where there is a large fire risk. 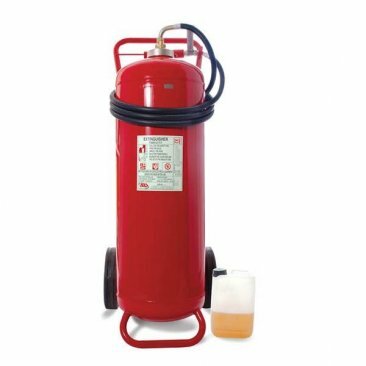 One man operation makes for simple use and a stainless steel body to prevents corrosion and extends the lifespan. 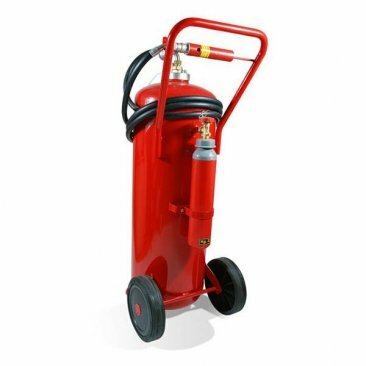 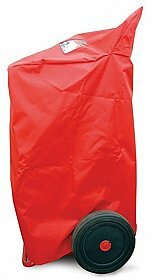 The more popular stored pressure style arrives fully charged but the cartridge version is supplied empty with the foam charge and just requires filling with water - this is very easy to do and requires no training. 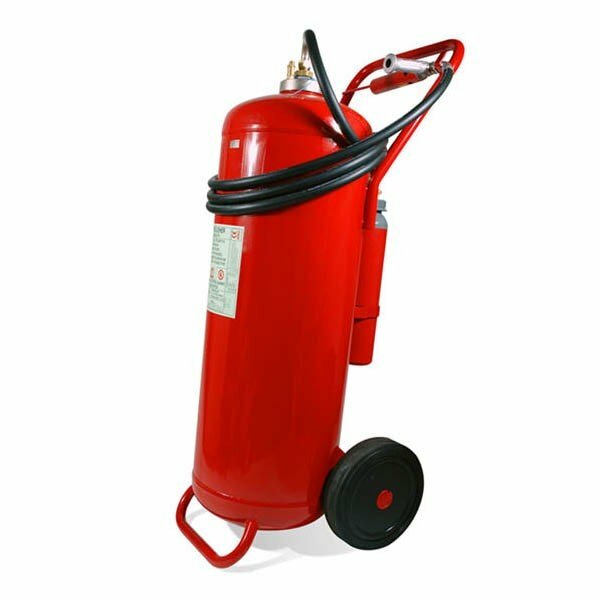 The 'film-forming' properties of AFFF (aqueous film forming foam - pronounced "A-triple-F") will quickly seal the surface of a liquid fire to prevent re-ignition. For marine use, we can supply models with the Ship's Wheel mark so please contact us for details.